“Look deep into nature, and then you will understand everything better,” Albert Einstein once said. 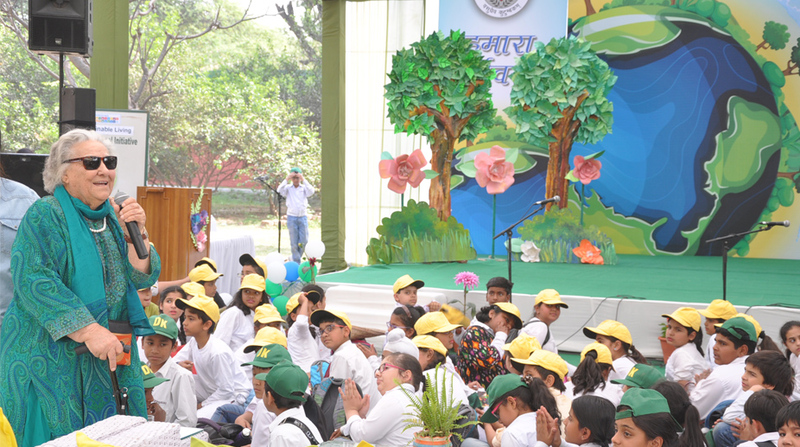 Motivated enough by the idea and to celebrate the season of spring, Springdales School, Dhaula Kuan and Pusa Road jointly organised a two-day environment festival ‘Hamara Paryavaran’ here. The event concluded on Friday. “It feels good to see students are putting good efforts to preserve the environment,” BC Sabat, Senior Sc Officer/Eco Club Programme Coordinator, Department of Environment, Govt of Delhi, told thestatesman.com, at the event. “Such events are important to motivate our students because they are the future of this society and only they can cherish these values if learn at an early age,” Sabat, who graced the event as chief guest, added. He spoke about Eco Clubs run by the Delhi Government, where students are trained on various environmental issues. “We teach them about environmental issues like plantation, water conservation and measures to control air pollution,” he said. Based on the idea of three As – Awareness, Action and Art, the environment festival exhibited workshops, artefacts and presentations of numerous agricultural practices followed at the school farm such as composting, paper recycling, gobar gas plant, rain water harvesting etc. “It’s nice to know that children at such a young age are sensitised to a level where they are taking action. They are not just talking about problems but talking about their solutions as well,” Livleen Kahlon, the guest of honour, said watching the kids engrossed in agricultural practices. Kahlon is Associate Director, Sustainable Development Outreach & Youth Education, The Energy and Research Institute (TERI). “People are conscious and the level of awareness has increased in recent past,” she said, referring to the initiative taken by the school and requested other schools to work in the same direction.